Whether they want to avoid complicated planning or simply guarantee the sunshine on their big day, an increasing number of brides and grooms-to-be are heading abroad to tie the knot. Another of the main reasons couples are flocking to places like Thailand is the relative affordability of dream, tropical weddings on islands like Phuket and Koh Samui. World-class venues, exhilarating entertainment options and sumptuous menus are all available for couples getting married on the Thai islands, all for less than couples might pay back home for a standard ceremony. In the last twenty years, Koh Samui has become well known a tropical paradise by travellers from all over the world. This is largely due to the fact that the island enjoys sparkling seas and sunshine for the majority of the year, which is great if you want the dusty pinks of a beach sunset to form the backdrop to your wedding photographs. Koh Samui’s main wet season is generally limited to three months form October to December, so if you can’t stand the rain, it’s easy to organise your wedding at a different time of year. One of the best things about working with one of Koh Samui’s wedding planners is that there is very little heavy lifting for the bride and groom to do themselves. 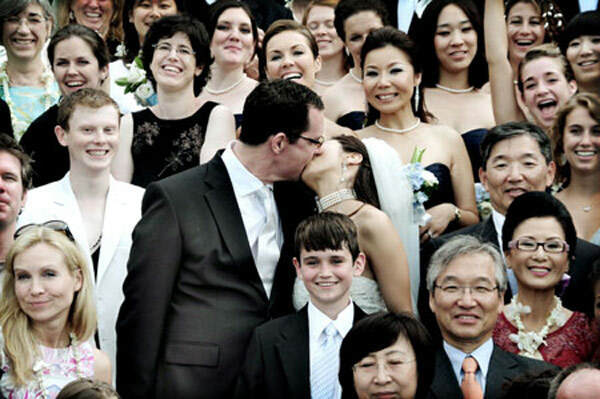 In fact, most of the preparation and organization is completed before the bride and groom even arrive in Thailand, which means they are free to relax and enjoy the weather when they finally do touch down. Wedding planners are hot on the heels of the latest wedding trends sweeping the globe, and can help plan every detail, from the menu to the decorations. The bride and groom can even organise a bespoke wedding ceremony that reflects their own personalities. It’s the day after your wedding, and the long build up and celebrations have left you feeling deflated. Fotunately, for newlyweds renting one of Koh Samui’s luxury villas, this doesn’t have to be the case. With the help of the villa manager, it is possible to arrange a host of activities to keep the edge off those post-wedding blues. Why not surprise your new wife by having a personal chef whip up a culinary masterpiece for breakfast the morning after the wedding? Or if you want to continue the party atmosphere for a little longer, charter a private yacht to entertain yourselves and your wedding guests while exploring the Gulf of Thailand.